As the founder of Women Who Influence, a personal branding and publicity firm for women, Marielle Legair has helped to build the reputation of CEOs, thought leaders, and entrepreneurs as well as some of the world’s largest companies such as Deloitte, Grant Thornton, and Experian. Her portfolio includes client media placements in major outlets such as BBC, Bloomberg, Financial Times and Forbes. Plus, Legair captured the attention of global audiences through personal branding master classes held in New York and London, and recently she published a book, The Personal Brand Bible for Ambitious Women, an ultimate blueprint to building a stellar reputation and creating more opportunities in your industry. 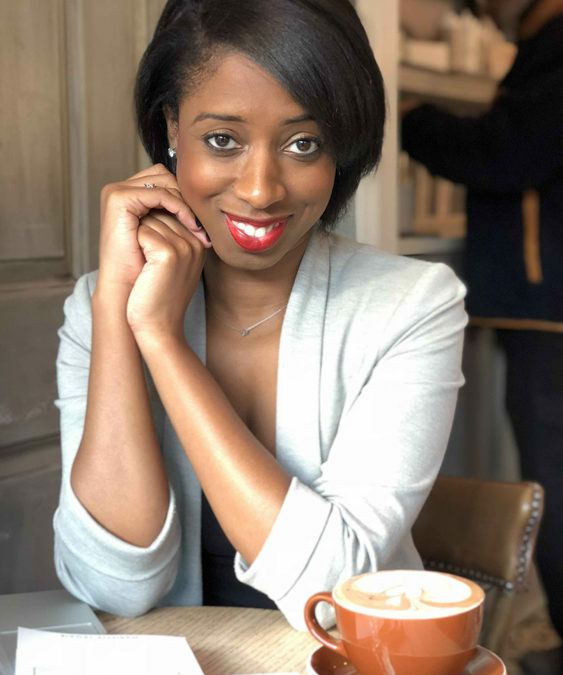 We caught up with Legair to gain some expert advice from her as well as a few trailblazing women included in the book: Tonya Rapley, founder, and CEO of MyFabFinance; Oxford-educated finance lawyer, Nana Darko; and 24-year-old founder and CEO of OMG Detox and CEO of the wildly popular site Boss Babe, Natalie Diver. Try to meet people in person if possible. As convenient as the online world is, the power of in-person chemistry is far greater and is the quickest way to develop a deep and meaningful relationship. Nana Darko, Oxford University graduate and city lawyer. shares in the book how the junior lawyers at her law firm weren’t necessarily the best at their job, they were just ‘present’ in any given situation and had cultivated a solid network. No matter how great you are, it means nothing if no one knows who you are and why you do what you do. A common question I get asked by the CEOs I work with is: ‘Do I have to be the face of the company?’ More often than not, the answer is yes. People do business with people, so it’s important to get comfortable sharing your mission and letting people into your world. Facebook Live and LinkedIn have made it much easier to share engaging content and build an engaged community through video. “While you’re building your business, you need to be everywhere your audience turns. Your presence needs to be undeniable,” says Tonya Rapley, founder and CEO of MyFabFinance.com. She created a content schedule and posted on social media every day so that her audience would become familiar with her. Being consistent also means having the same look and feel across social media channels. The online world is noisy, with competitors sprouting up daily, so it’s important to stand out from the crowd. A key way to do this is through planning ahead, so you have a bank of varied content to share consistently across your platforms. Facts tell, but stories sell. Tell your story by focusing on the experiences that lead you to where you are today. One of my clients quit her unsatisfying job while 13 weeks pregnant. She has since gone on to launch two six-figure businesses in two years while working from home raising her children. It’s an incredible story. I encouraged her to share the challenges she’s overcome as well as her wins because this is a key part of her personal brand. People often gloss over their struggles thinking they have to appear ‘perfect’ when in actual fact the opposite is true. Being relatable through storytelling is more enduring. It’s the only way people will really get to know the real you.